No I’m kidding just. 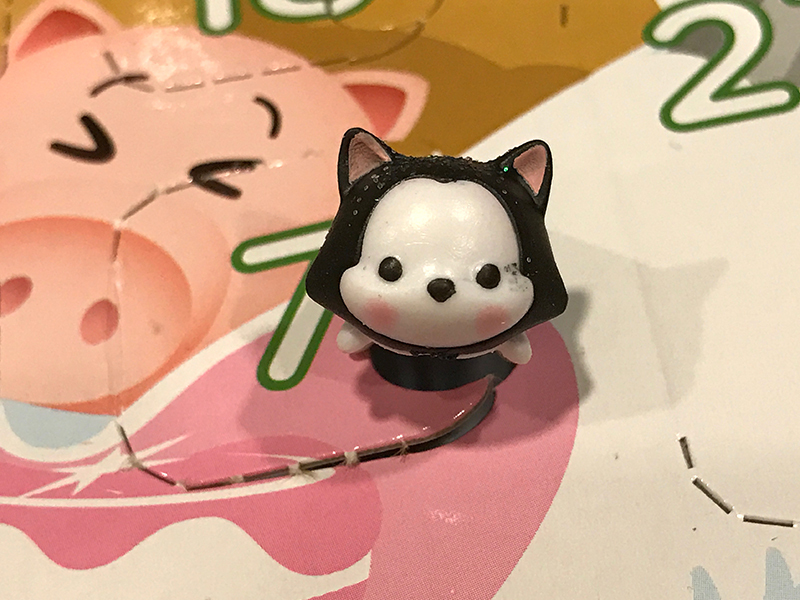 It was actually FIGARO! 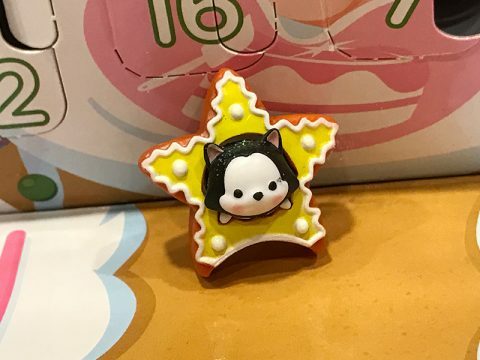 I knew it was Geppeto’s cat! I knew that because I watched the Pinocchio movie about two years ago. Well though he – wait is the cat EVEN A GIRL OR A BOY?! 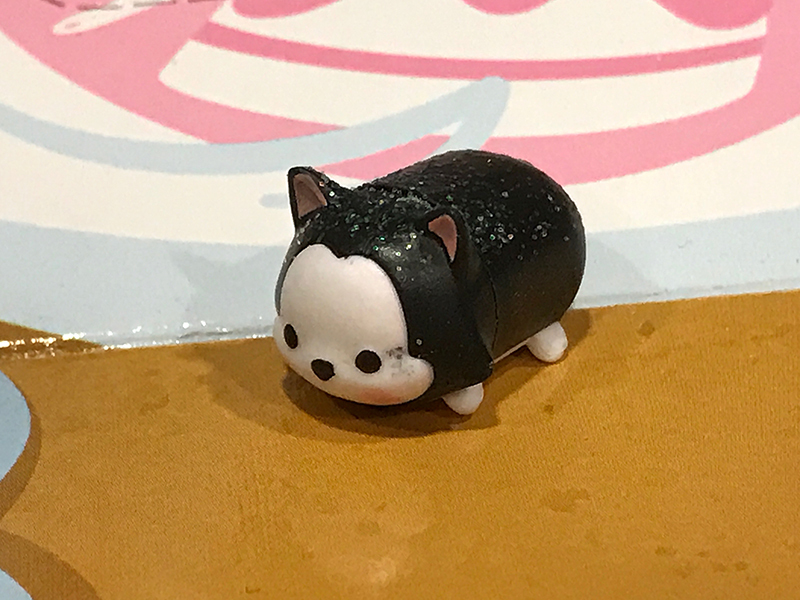 Well I’ll call it Figaro the cat. 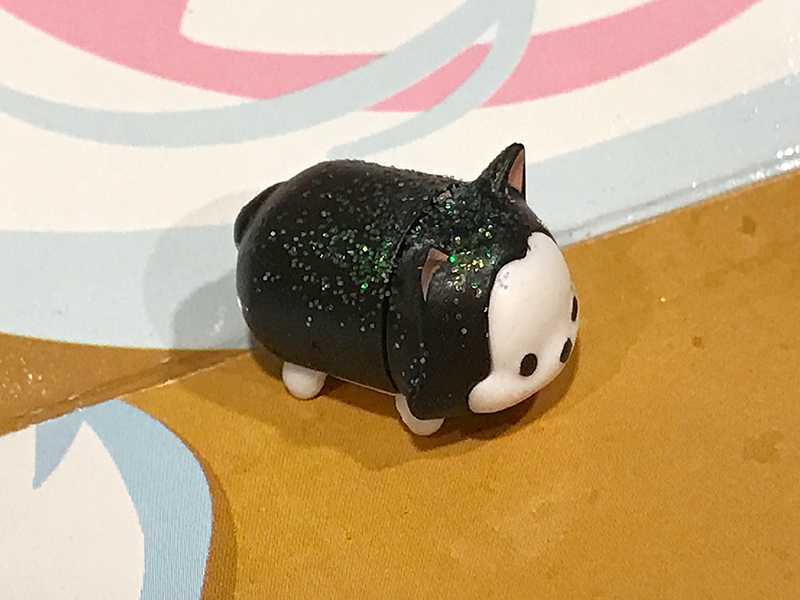 Well though Figaro the cat is so small, on the cat’s back is a shiny row of sequins and sparkles. I wonder if that Figaro can fit inside the mini star cutter like Marie did. 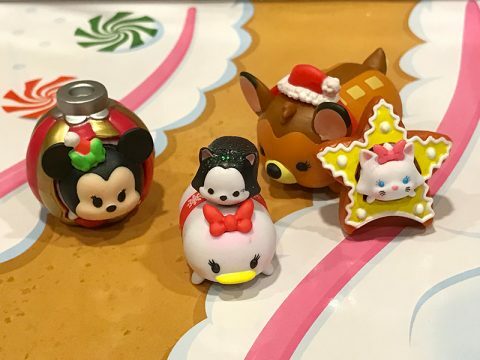 I know for sure Daisy can fit inside the ornament like Minnie did. But I will try and it may not be much a worry. Now Figaro probably can stack on top with Daisy and Bambi. And it pretty much will look like a display now. Complete with the decoration – oh now I know why the star fits for small and the ornament fits the medium ones. It is like a tree, the star on top while the smallest is supposed to be on the top. And the ornament fits medium Tsum Tsums because the middle should be the medium Tsum Tsums, plus the ornament is in the middle of the tree. But I don’t know about Bambi. 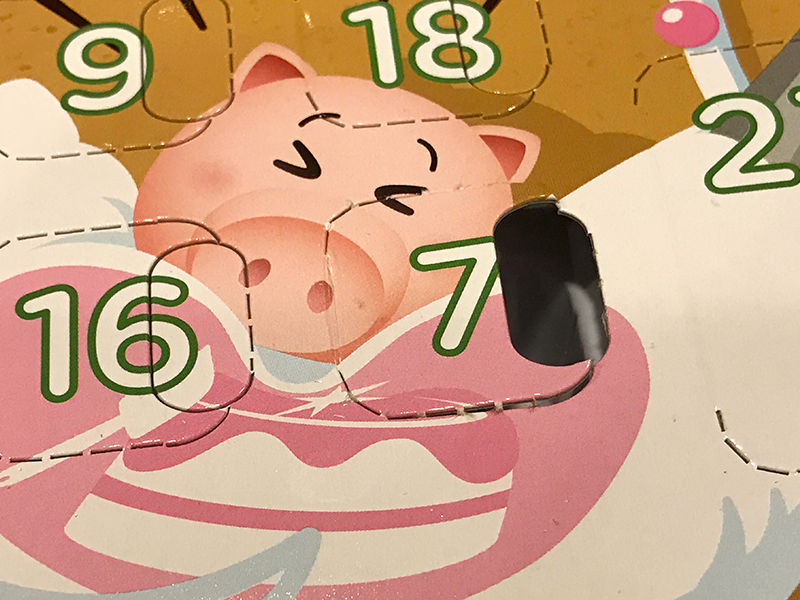 I am going to wrap up day 7 then I need to start on the rest of the count down to Christmas posts. Now I had to see Figaro for a moment but Figaro had a scrape on the cheek. I assumed it was WUD since she played it so much. But we are not for sure that she broke it. Well it might be late but never too late to start on my next post. Bye until my next post. 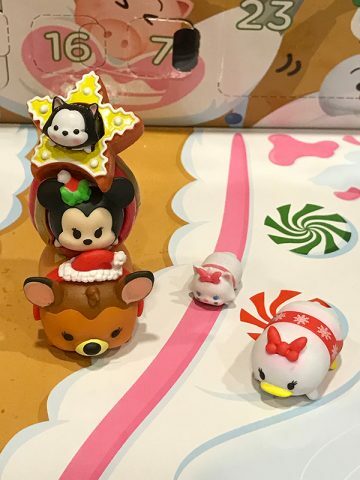 This entry was posted in Tsum Tsum and tagged Advent Calendar, Bambi, Christmas Holiday, Daisy Duck, Figaro, Figurines, Marie, Minnie, Stacking Fun, Toy Report, Tsum Tsum by Tiffany. Bookmark the permalink.